The UK’s economy defied the gloom and doom predictions after the Brexit vote and ended the year with the strongest growth of the world’s advanced economies. Britain’s economy grew by 2.2 percent last year. Britain’s economy grew by 2.2 percent last year — more than the six other leading nations, including the United States, Germany and Japan. 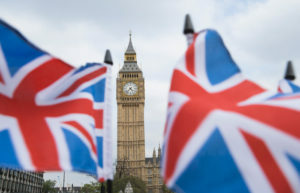 Far from slowing after the country voted to leave the EU in June, as predicted by the Treasury and Bank of England, GDP grew at 0.6 percent and 0.5 percent in the final two quarters of 2016. Meanwhile, Britain’s services PMI (Purchasing Managers’ Index) rose to 56.2 in December, up from 55.2 in November. Any score above 50 indicates rising business activity, while a score below 50 shows output falling. In July the index dropped to 47.4, so December’s figure represents a major turnaround from the gloom of the summer. “A buoyant service sector adds to signs that the UK economy continues to defy widely held expectations of a Brexit-driven slowdown,” said Chris Williamson, IHS Markit’s chief business economist. Britain’s economy is expected to receive another shot of adrenaline from U.S. President-elect Donald Trump’s tax-cutting policies. UK exporters are stoked by the expected rapid growth of the U.S. economy in 2017 brought on by Trump’s agenda.